Fees associated with the Ukrainian PCT national phase entry as well as other patent fees are available in the fee calculator. 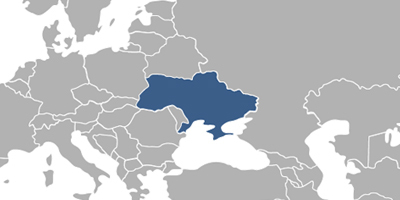 The deadline for PCT national phase entry in Ukraine is 31 months from the priority date. If the applicant fails to file a national phase application within the 31-month term, the right to file the application may be restored if the corresponding request is submitted and the corresponding fee is paid within 2 months from cease of the circumstances which prevented him from filing or within 12 months from the deadline for Ukrainian national phase entry, whichever is earlier. To obtain the date of filing, it is necessary to submit a request to grant a patent and the copy of the international application. The translation of the international application into Ukrainian should be provided until the expiration of the 31-month deadline. This term is extendable for two additional months by filing the corresponding request and paying the official fee. The legalization or notarization of a Power of Attorney is not required. It may be provided simultaneously or within two months from entering the Ukrainian PCT national phase. The examination according to the requirements of patentability is started as long as the corresponding request has been filed and the official fee has been paid. The applicant should file the request and pay the official fee within three years from the filing date of the international application. The novelty of the invention is not disproved if the disclosure of the information about the invention is made within 12 months before filing an international application (if the priority is claimed, before the priority date) by the inventor or by the person who received this information from the inventor directly or indirectly. The official fees for publication and issuance must be paid within three months from the date of receipt of the Decision to grant a patent. The extension of this term is possible for six additional months by paying the extra fee. The first post-grant annuities for the year when the patent is granted are paid within four months from the date of issuance of a patent. Missed payment of the annual fee is possible with the 50% fine within 12 months after the expiration of the deadline. It is required for foreigners to perform the PCT national phase entry in Ukraine through an agent, a registered Ukrainian patent attorney. 1. Online Search Database for Ukrainian Patents and Utility Models. 2. Inventions may also be protected as Utility Models in Ukraine, which are subject to formal examination only. The objects of Utility Models to which the legal protection is granted are identical to the objects of Inventions (i.e. products and processes as well as the novel use of known products or processes). Maximum protection period of a utility model in Ukraine is ten years from the date of filing.